Category Archives for "Guitar Pedals"
We revised our list of best overdrive pedals for metal in 2019 to figure out which ones perform best vs price point. Finding the best overdrive pedal can be a make or break for getting your tone just right, and ultimately fitting in with your unique style. If you play any form of metal, blues or rock then you may want to consider your options carefully, as there can be a lot of variation in the types of sound created by each product, and as always the best one is the one that matches your unique style. Below we will review different types of overdrivers on sound, style, genre and price in order to give you the best view of what may be right for your sound! The history of overdrive is a topic that is widely debated because there are multiple variations of the story of how it was first discovered. However, one legend has it that there was a guitar player who threw his guitar at his amplifier in a fit of rage and the guitar crashed into the amp and knocked something loose. The guitar player picked up his guitar and started to play and a crunchy, dirty and distorted sound came out. The result turned into our modern day overdrive, distortion or fuzz effect that can now be re-created in a compact guitar pedal. Technically the sound associated with these types of pedals is created by “clipping” the signal coming from the guitar and going to the amplifier. Imagine a big wave in the ocean going under a bridge and hitting the bottom of a bridge. The waveform breaks up because the top is “clipped” off by the bridge and thus changes the wave. This is what is happening to a distorted guitar. The signal hits resistance and changes the sound wave, creating a “dirty” kind of sound. At first it wasn’t a desirable quality in an amplifier. But over time with creative input and artists experimenting with the sound, the crunchy and gritty tone that is recognizable a lot of modern day music was created. It is an especially crucial element to any guitar player’s sound who plays metal, blues or rock. There are three main types of pedals that create a “dirty” guitar signal. They are mentioned above. Obviously this is an article on the overdrive pedal, but if you want to check out our review on the best distortion pedal then just follow the link! As you can hear in the above video, the sound associated with this effect compared to the distortion pedal and fuzz pedal is a softer more full toned sound. It boosts your signal enough to break up the waveform but keeps the tones of the guitar natural and true. It isn’t as harsh as the distortion and fuzz pedal’s sound. This can be a very desirable quality for a lot of different genres because you can craft the tone of your guitar more and keep your tone consistent while giving it a bit more energy. 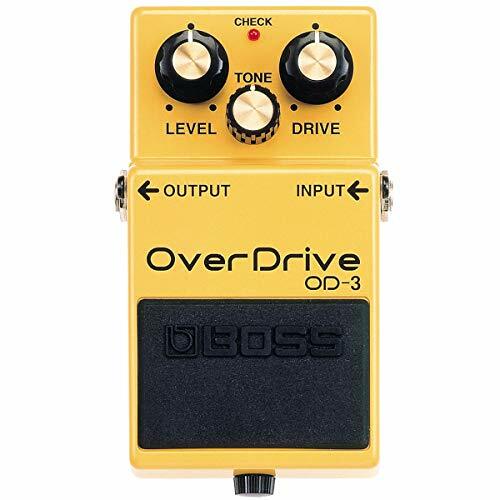 Typically overdrive pedals have three dial knobs for drive, tone and level (or volume depending on the pedal) as well as a foot switch to turn it off and on. Each pedal is powered by either battery or a 9v connection, if you have more then a few pedals then be sure to check into buying a power supply or daisy chain if one of your pedals can distribute power. 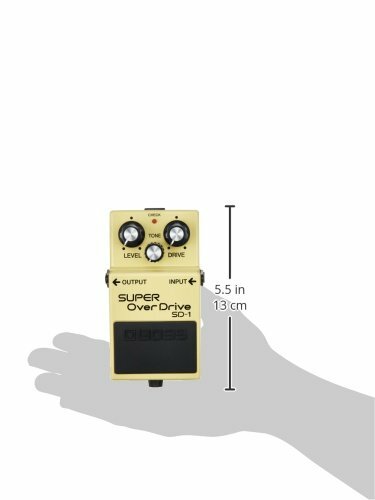 If you are just starting out or play a wide variety of music, it would be beneficial to find an overdrive pedal that is very versatile and can be used for generally all kinds of music. This is a classic sounding overdrive and is found on a lot of pedal boards. It mimics a mid/deep sounding tube that is pushed to the max. It has a simple to use interface with a nice feeling stomp pad type pedal. It is very versatile but brings out some nice low and mid tones. It has a very tough design that can handle whatever you throw at it, plus it is simple to use. This is a great all around product and is rated as one of the top pedals out there. 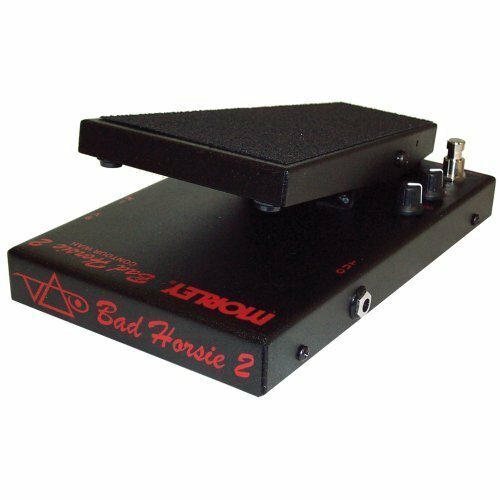 It is a fairly priced pedal and doesn’t break the bank account for the quality you are getting. Boss is a staple for guitar pedals and there is good reason for it. These pedals are tough and can handle some rigorous conditions when touring and gigging. The Boss SD-1 overdrive pedal is a good balance of crunchy mid/high and low heavy tones. If you are looking for a pedal that accomplishes a wide variety of genres and sounds, this one would be a solid option. It can also be used as a “boost” to your amp’s drive or even clean sound. If you turn the drive down to zero and put the level where you want it can add a decent boost to your sound for those louder moments. However, this pedal is not as heavy sounding as other pedals on the market. So keep that in mind if you are playing heavy metal or rock. 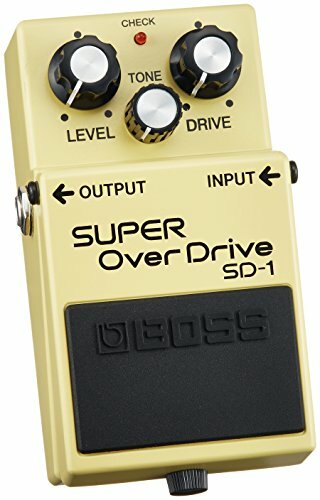 The boss OD-3 Overdrive pedal brings out a bit of a heavier sound then it’s brother the SD-1 pedal. The OD-3 has a heavier gain and low end tone that comes through when it is engaged. Like the SD-1, it is a tough pedal that can be very versatile. You can see a comparison of the two in the video below. Blues is the best example for why one would want to use an overdrive pedal vs a distortion or fuzz pedal, however, the fuzz can add some great elements in blues. The overdrive allows the tone of the guitar to surface through the clipping signal that results in a very emotive and bluesy sound. This is a nice versatile pedal that can be used for playing both heavy blues and lighter more melodic blues riffs and comes in at a nice price point, giving you a solid effect that doesn’t break the bank. The Donner Blues Drive allows you to toggle between two modes, one warm for that produces a softer sound and one hot for playing heavier music. By buying this overdrive pedal you essentially get two pedals in one with great tones for blues! Think of Stevie Ray Vaughn in either his version of little wing, which uses a softer warmer overdrive or in “pride and joy” where he uses a heavier “hot” overdrive. This is another staple guitar pedal from the engineers at Boss. These guys really know how to make a great tough pedal at a good price. Although slightly more expensive then the Donner Blues Drive, it is much more rugged and can handle tough conditions, resulting in a pedal that lasts the test of time. The boss BD-2 has a very classic sound to it which makes it very desirable for old school blues that requires a bit of a raunchy sound but not too overpowering where the tones of the guitar are lost. This pedal provides great versatility in an overdrive pedal that comes extremely close to replicating a vintage tube. This guy is a little bit raunchier then the previous two above. 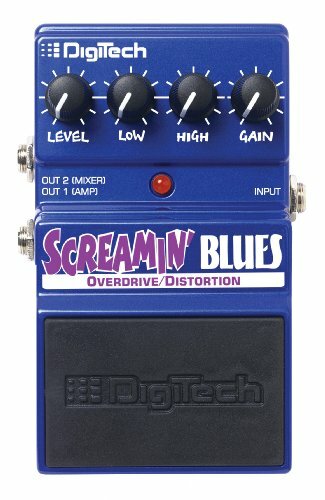 It is not called the Screamin’ Blues Overdrive for no reason! It would be a perfect pedal to give a heavy guitar solo a bit more edge. 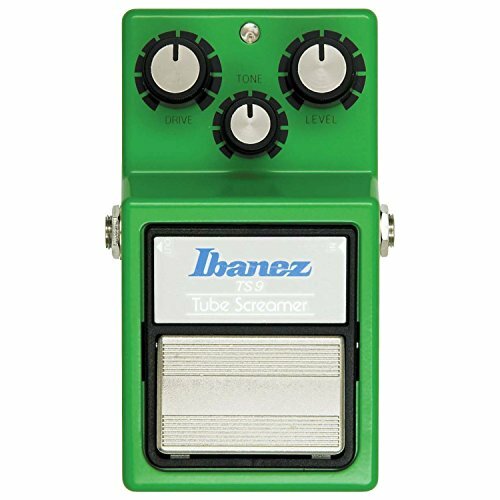 The Screamin’ Blues pedal also has a more flexibility in terms of the controls for tone. It has two knobs to control tone, one for low tones and one for high tones. This enables you to maximize what you want for the particular part of song it is engaged for. 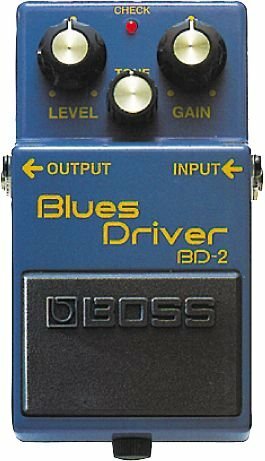 It is a similar price point to the Boss BD-2 pedal but definitely has it’s own sound. Pairing these two pedals on a pedal board would be a perfect duo for having a pedal for a general boost and overdriven tone, and then having an option to really crank it up and experiment with some heavier tones. This is a really cool pedal. 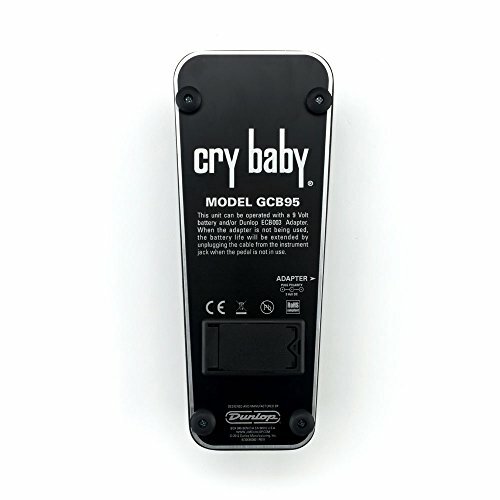 It is a great pedal for blues and rock since it is a very neutral sounding and doesn't take away from your natural tone. This means you can utilize the power and tone of say a Fender Strat and keep intact the elements of what make a Strat a Strat. When the drive is turned down it allows your signal to be boosted without any change in the tone at all. Paired with a great reverb pedal it can allow great clean solos and rhythmic parts. When the drive is turned up, the tone that comes out is crunchy but warm. A great sound for a strong dirty blues solo that would be familiar in a hazy pub in Chicago in the 60s. When constructing your tone for metal, most would say to look for a pedal with strong low end and nice balanced high tone. This is because when you are ripping a guitar solo you want it to cut through the rest of the band. This is accomplished by utilizing the high frequencies. However, when you are playing a rhythmic section that needs to be full and punchy, the low end will help you accomplish this. 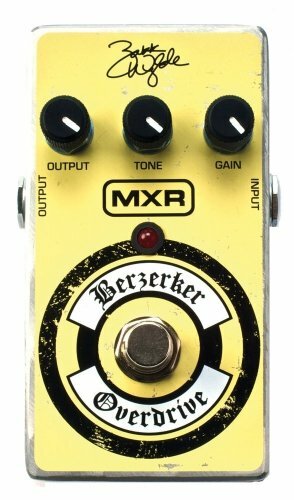 This pedal was made for legendary guitar player Zakk Wylde, who may be most recognizable as the guitarist for Ozzy Osbourne and founder of the heavy metal band Black Label Society. As a guitarist, he rips fast, accurate and heavy and needs an overdrive pedal to match. A lot of the great gritty harmonic tone that is desirable in heavy metal music comes from the amplifier the guitarist is using. Which means when you are talking overdrive and distortion pedals, you probably don’t want something that wipes out the tone of the amp completely and overpowers it with the pedal’s specific sound. The MXR Wylde is a heavy sounding overdrive that adds an awesome punch and boost but doesn’t overpower the amplifier’s natural tone. It will enhance the natural tone of the amp but allows you boost your sound without compromise. It has a nice low-end sound with balanced highs. The gain is a beautiful crunchy sound when it is full on but can be backed off if need be to give your signal an extra boost if you prefer to utilize the gain on your amp. 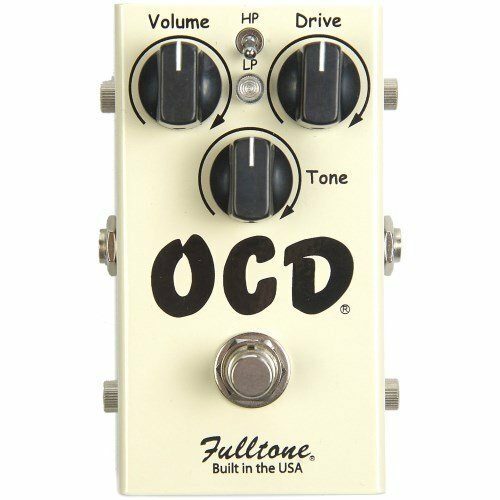 The OCD is a very full toned thick sounding pedal. It is a great option for metal guitarists because it has such a full sound. It will add a punch and chug in the rhythm section but still has enough force to cut through. It is actually an overdrive pedal but can almost pass off as a distortion pedal because of its thick low-end sound and heavy gain. You can give it a listen in the below video posted by Sweetwater. 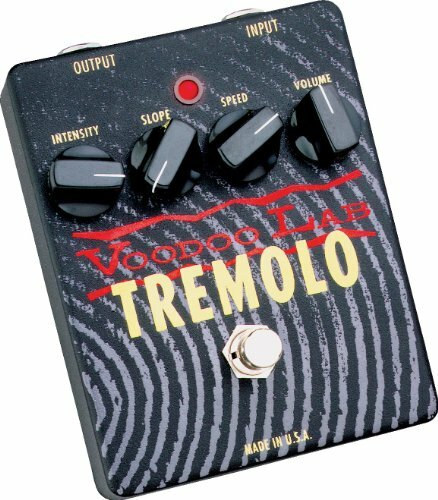 Voodoo Lab Tremolo: Very straightforward tremolo, features a slope control for waveform tweaking. Usually $150. Check Price. BOSS Audio TR2 Tremolo Pedal: A classic and hugely popular tremolo effect- it's vintage, yet high-quality. Usually $99. Check Price. 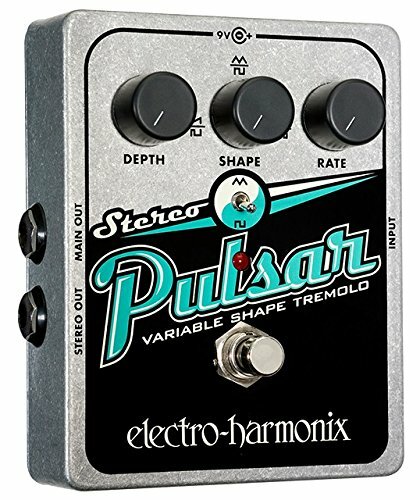 Electro Harmonix Stereo Pulsar: Check Price. Joyo JF-09 Tremolo Guitar Pedal: Check Price. 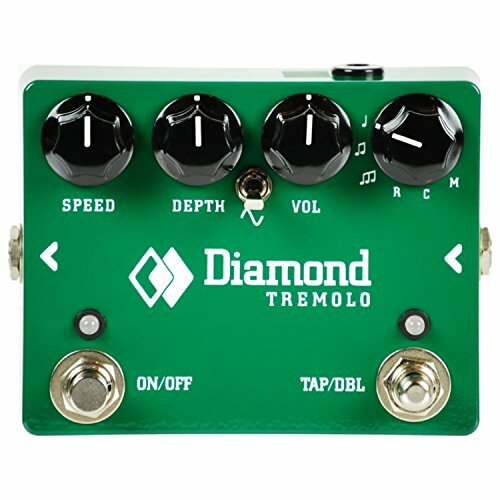 Diamond Pedals Tremolo: Most expensive little guy on the list, features a tap tempo footswitch and several timing accents. Usually goes for $249. Check Price. 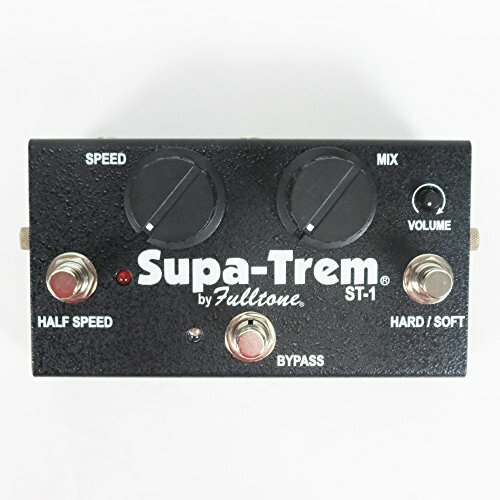 Fulltone Supa-Trem ST-1 Tremolo: Features a volume knob with an added 15 dB of gain, and extra switches to vary the speed. Goes for around $139. Check Price. What does a tremolo pedal do? Can’t I get tremolo from an amp? Or a multi-effects processor? What are some tremolo use examples? The aim with this one was to re-create the tone of tube amp type vintage tremolos, so it might be a good bet for thee if you fell in love with tremolo not because of the harsh helicopter-like effects we’ve discussed before, but for the dreamy and seductive tone of the tremolo some amps used to feature. Considering that, it’s a pretty straightforward, nostalgic sort of tremolo. Probably not as versatile as the other pedals on this list, but sometimes nostalgia is exactly what you need for certain tones or styles of music. Also, you can always tweak it within your effect chain, so the pedal is really as versatile as you want it to be. Example? The VL Tremolo sits with guitarists like Jack White, Dean Fertita from Queens Of The Stone Age, and Devin Townsend. Bottom line? It’s got a sound all its own and that’s respectable in any stomp box. The only thing I’m not a fan of is the design. I understand those grey lines over the black case are supposed to be waves, but to me it looks like a big footprint. The Voodoo Labs Tremolo Pedal is one of the most popular pedals out there, and for good reason. This pedal replicates a vintage tremolo guitar effect played through a tube amplifier. When strumming it with a Fender Stratocaster, like in the video below, you can really hear how warm it sounds. Kind of reminds me of being in a hazy 60’s bar or something like that. The pedal itself is fairly straightforward and due to its four control knobs it is really customizable to get a good sound and dial in the perfect tremolo sound. The four knobs control intensity, slope, speed and volume of the effect. The speed and volume controls do pretty much exactly what you would expect of them, volume controls level and speed controls how fast the tremolo is. One thing to mention and something that we feel deserves praise is the range is for the speed function; it has quite a wide range so you can get a reaalllllyyy slow or extremely fast effect. The intensity function controls how much of the effect is mixed in with the dry signal, the higher you go the more tremollo effect you will hear. Then there is the slope, which is a cool function as it changes the slope of the waveform. This enables you to control how sharp or round the tremolo will sound, when you dial in the knob to sound sharper, you can get some really cool helicopter type of sounds to occur! Take a listen to the effect above in the video from our friends at Sweetwater! Ahhhhhhhh… the Boss TR2, another strong pedal from the engineers over at the Boss shop. If you have read my reviews before you know I like Boss. They may not be the most unique pedals out there and some critics may be very harsh when it comes to these pedals (a lot of these critics will only buy non big name pedals, which are great if you can afford them but they are not for everyone). From my experience, Bosstr tremolo pedals are pedals that do not break the bank account, have a good sound and are really built to last… all good things in my humble opinion. Now, perhaps it’s because the Diamond is a newer pedal and it has some catching up to do, but when it comes to guitar tremolo pedals that are used by professionals, the list for this one is just mind-blowing. Who do you see there? Caleb Followill, Dan Auerbach, Billie Joe Armstrong, Noel Gallagher, Eric Clapton, Stone Gossard, Daniel Kessler, Graham Coxon, Tom Morello… jeez! It’s amazing that such a classic piece of machinery can go for $99, or even $70 bucks if found used and in good condition. This vintage tremolo effect is probably that popular due to its ease in functionality. You get 3 super straightforward knobs. Just the rate one (how fast the chopping goes), depth, and two forms of waves, with the choice to find a sweet spot in between. The one on the left in Boss TR-2 is a triangle wave, which means that the lowering and upping of volume is gradual, making the chopping effect much more subtle (which is actually why Juan Alderete prefers the PN-2). The second wave is squared, so that makes the chopping effect much more harsh, since the lowering of the volume occurs all within a harsh millisecond. Playing around with these 3 knobs is super easy, and super fun, so even if you have to maneuver to the settings you want in the next part of the song while playing live, this little green guy makes it hassle-free. The only complaint people have about this one (and I can vouch by that) is that it does produce a bit of a volume drop when triggered. Now, the seasoned guitarists with a trick or two under his sleeve in terms of pedals will probably have some way of boosting the sound when engaging this thing. 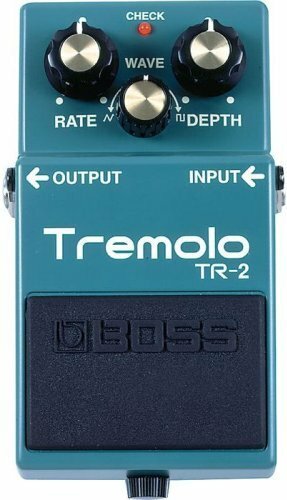 That might explain while, even with the volume drop ‘issue’, so many players cherish wouldn’t trade the Boss TR-2 for any other tremolo pedal. The Boss TR2 is no exception, coming stock with the standard body shape of all Boss pedals and three dials to control the effect, the TR2 is a great tremolo pedal for anyone who is looking for a pedal that will last the test of time and produce a great sound. The EHX Stereo Pulsar is a solid pedal that creates a very rich, warm and vintage effect. I pretty much think of it as surf meets the bayou. I really like the look and feel of this pedal as well, really makes it seem as though the pedal is a vintage old pedal from back in the hey-day of psychedelic rock. It is designed simply and the controls on it are fairly familiar to the previous two pedals we have reviewed. There is a rate knob, depth knob and a wave shape knob and a wave shape switch. The LED indicator light is tied to the rate knob that comes in handy as a visual way to see the rate speed. The rate knob adjust the speed of the tremolo effect, the depth knob adjusts the amount that will be applied to your signal, just like the TR2. Where this pedal sets itself apart though is in its wave shape functions. The Joyo JF-09 would be a great example of the best cheap tremolo pedal out there. As you will read in a lot of the Joyo tremolo review, the JF-09 definitely does not break the bank account. However, since this pedal is a Tremolo, and we already discussed that these are so simple you can get away with a cheap tremolo pedal version, it is still a pretty solid option. The pedal itself is extremely simple and has less customization options than the pedals we have reviewed above. It has two knobs, a rate knob and an intensity knob. Since we have discussed what a rate knob and intensity knob do then we won’t go into too much more detail then the rate knob is the speed and the intensity is the depth. 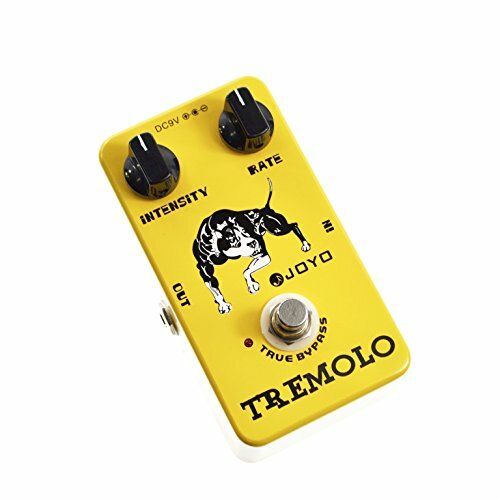 I would suggest buying the Joyo tremolo pedal if you want to test out this effect and have never played around with it before, or if you cannot afford the other pedals listed above - after all Joyo tremolo pedal would be one of the best guitar pedals under 50 you will find out there. Where this pedal lacks a bit is in its warmth, it is a bit more tinny then the other pedals but what can you really expect since it is a fraction of the cost. If you’re like really serious about Tremolo, Diamond trem the really nice one, and probably the most complete, but that’s also why it’s the priciest. Diamond is a small Canadian manufacturer that aims to put sonic excellence on top of everything. They’re nearly boutique pedals and every item they put out is a rigorously crafted piece of machinery. The Diamond Tremolo is pretty much everything you’d expect from a Tremolo pedal. 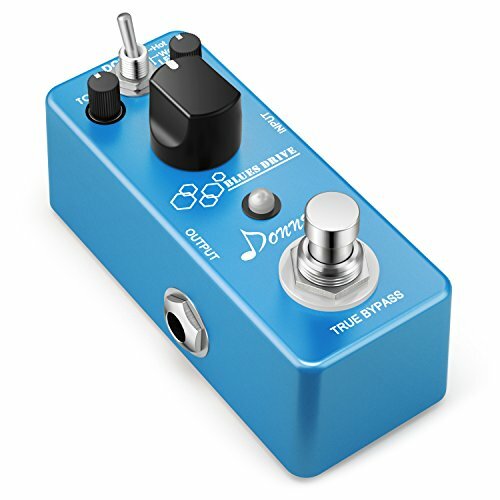 It’s got a speed knob, depth (which also determines how harsh the effect is), volume knob (great to avoid those famous volume drops), and– something no other pedal has on this list– a knob that lets you choose a bunch of different timing accents, creating rhythmic tremolo effects that you will not find in any other pedal. If that wasn’t enough, Diamond Tremolo also has a tap tempo footswitch, that can also be used to engage the “double speed mode”, just a way of switching to super fast tremolo at the tap of a foot. You can tell that a great deal of work went into making this pedal, so it should come as no surprise that it sits on the pedalboards of artists like Ed O’Brien from Radiohead, and Tycho. Going into another boutique and very versatile option, the guys at Fulltone nailed it with this one by adding a mini-volume knob right next to the two big knobs. Players have found that since the volume knob actually features a 15 dB boost, you can turn the two big knobs (“Speed” and “Mix”) all the way down and use this as a straight-up boost pedal. Further, fulltone supa trem features a hard/soft footswitch which lets you choose between a sine-wave or a square-wave for a machine-gun like stutter. Finally, a cool thing about the fulltone supa-trem is that it uses a photocell, which is a piece of technology that old tube amps used to use, so it claims to add no noise at all, while providing a very clean, crisp and analog tremolo pedal tone. The potential downside with fulltone tremolo one is that it doesn’t feature a tap/tempo button, and it’s a bit hard to know where to set the “Speed” knob right to the setting you like. 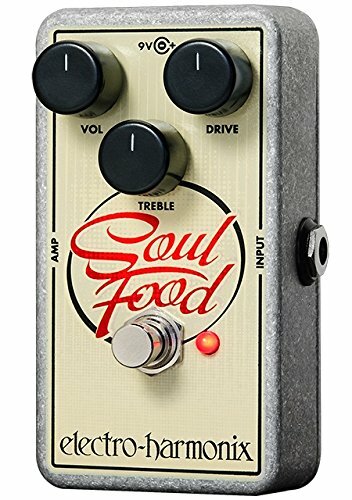 Some guitarists mention in fulltone supa trem reviews that you can set the “speed” and “mix” knobs with your foot, but how accurate can that be? A very cool feature, however, is that the red LED light lets you see the speed of the tremolo effect at all times, even if the pedal is bypassed, so you can sort of make sure it’s the right speed before engaging the pedal. Finally, here’s the list of pros that use the ST-1: It includes names like Joe Bonamassa, Jonathan Wilson, and Justin Vernon. Almost needless to say if you’re here, but Tremolo is a fascinating effect. For guitarists, it usually means the use of an electronic effect to rapidly turn the volume of a signal up and down, creating that trembling effect that gives it its name. What is a tremolo indeed? The term goes back to the word “tremolando!”, which is Italian for “trembling”, a term that has been used from as early as 1617 to describe a natural effect produced when the players of bowed string instruments would move the bow back and forth, kind of like picking to produce the rapid repetition of a single note. Of course, we discussed here the former term, which constitute some of the best guitar pedals! If you’re looking to add some of that shuddering effect to your guitar playing, or even bass tremolo, the above are the some of the top rated guitar pedals (not to be mixed with a vibrato pedal - to be discussed in a separate post!) we recommend. A more educated answer would be that tremolo is typically used to give an additional amount of texture to guitars or keyboards, or even vocals, that is simply hard or downright impossible to replicate with natural playing. You would need somebody to stand next to your amp and mute and unmute it repeatedly to even come close, and that person would need to have perfect timing, before the mute switch in your amp is eventually ruined, of course. So tremolo is a great way of achieving that effect of chopping up the signal, whether it’s ultra harsh, as in, complete silence between each wave or just a more subtle up and down. In this regard, most tremelo pedals will have some sort of “rate” setting, which is the speed of the effect, and a some way of controlling the wave shape, which will alter how harsh the chopping is. Some amps, especially vintage ones, might already include a tremolo effect. Do note that these will usually be ultra simple and, when using them, you don’t get to enjoy the convenience of having a little box unit to control the effect right at your disposal, near your feet. Also, most multi-effects processors will include a tremolo effect. While these will vary a lot depending on the manufacturer and product model, you have to consider that what you’re getting in those instances is a digital version of tremolo, as opposed to analogue circuitry, which gives you that vintage betremolo vi, especially with the Diamond Head and Boss pedals on this list. It’s also very common to feel that hitting the tremlo effect while you play results in a volume drop. While most multi-effects processors will have little or no ways to help you find some source of extra gain that can be triggered at the same time you engage the tremolo, some of the pedals we’ll see do feature a way of dealing with this. Namely, their own friggin’ volume knob. One of my favorite examples, though performed on bass, is this video by Juan Alderete from The Mars Volta, using a PN-2 from BOSS (they don’t make em’ anymore), distortion, compression and some other effects to achieve an insane helicopter sort of sound. Other good examples include “Bones” by Radiohead, “Gimme Shelter” by good ol’ Mick and Keith, and some guitar subtleties on “Child” by The Maccabees. Just some clear examples. Blues and country artists do use this effect a lot, so you can probably name more. How does this effect function? Presumably the most widely recognized and least complex (with current innovation) is to adjust input voltage by means of circuit. This is the way your ordinary Manager tremolo works. In this situation, a voltage controlled enhancer (VCA) alters flag adequacy with a particular waveform to make the tremolo sound. The tremolo is an effect that has been around for a very long time, dating back to the 1940’s. It was first manufactured by DeAramond which was also the company associated with inventing the guitar pickup. These guys weren’t kidding around when it comes to top inventions! This pedal, known for its warm and round pulsating sound, is a very simple effect in terms of the electronics inside. This means as a guitar player you can get away with sourcing more affordable options. It is a an effect that is pretty hard to muck up, meaning the cheaper designs often are passable if not comparable to the more expensive designs. I don’t know about you but saving few dollars on new gear is definitely a big win for a hungry musician like myself! The list above includes some of the most popular and best pedals on the market, including a cheap option (may be the best budget tremolo pedal in the market) that we think is pretty awesome! If you are building your pedal board, make sure to check out our articles on the chorus and reverb pedals as well, here and here. All three of these pedals pair really well with each other in our opinion, and from what we have heard, the opinion of a lot of players out there. You got your pedal, now where do you put it? Anyway, let’s say you went with one of these babies, now where does a tremolo pedal go in terms of an effect chain? Since the effect is quite subtle and sometimes, depending on your intention, you want it to really chop up the signal, the best bet is to put the tremolo at the very end of a chain, at least after your more notorious effects like distorsion, pitch-shifters, or compression. So what is tremolo for? Short answer? Anything you want! Just plug it to your guitar and amp, play around with the settings, then combine it with other effects, knock yourself out! -TA-TA-TA! Happy signal choppin’! Envelope filters! Those things that make your bass or guitar go “quack” or “bow”, that sound at times like you were playing underwater, but mainly make you feel as if you were dressed in a full-sequined outfit and playing a bass shaped like a glittery star while wearing platform shoes. Bootsy Collins, we’re looking at you! MXR Bass Envelope Filter M82: Probably the best bass envelope filter still being made, great for preserving the low end, classic analog sound, and a truly funky look. Usually seen for $150. Check Current Price. 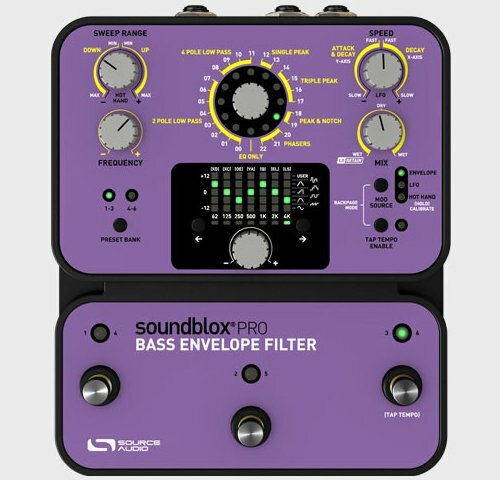 Source Audio SA143 Soundblox Pro Bass Envelope Filter: Not the most pedalboard friendly option, but if you’d like 22 pre-set filter effects, as well as saving your own settings, it might be worth it. Price is usually around $230. Check Current Price. Mooer Envelope Filter Analog Auto Wah: Now this is the most pedalboard friendly option. Tiny filter, but still packs 4 controls and all-analog circuitry. Goes for around $88. Check Current Price. Electro-Harmonix Bass Balls Twin Envelope Filter Pedal: A super rudimentary, straightforward pedal that’s two filters in one case. Just one knob for response (sensitivity) and a switch to toggle some built-in fuzz. All you need really! Usually $135. Check Current Price. What does a bass envelope filter do? 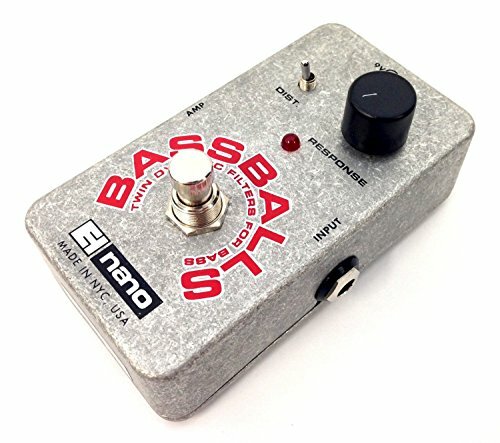 How to use an envelope filter pedal for bass? This is truly a classic envelope filter pedal built for the modern age, and specifically for bass! What we love about the MXR bass pedal is that apart from featuring some crisp-sounding all-analog circuitry, it gives you tons of control over the sound. You get 5-knobs to play with, out of which the ones that truly set this boy apart are the separate dry and filter effect controls. This means you get to decide how much of the original signal is left after the effect is applied, which definitely helps with preserving your low end. The size of the filer is adjusted with the Decay and Q controls, and it’s got the much needed sensitivity knob. 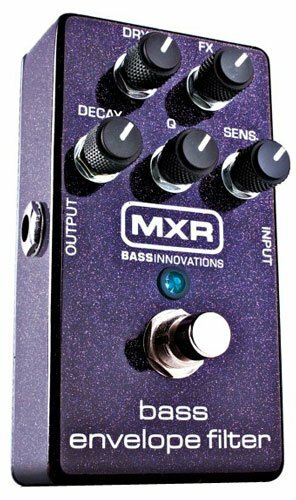 No wonder mxr m82 bass envelope filter has gotten so popular over the last few years among best mxr pedals. Some notable users include Justin Chancellor from Tool, Marcus Miller, and none other than funk veteran Bootsy Collins. Now, if the classic bass envelope filter sound isn’t enough for you and you’re looking for something more spacey and processed, source audio bass envelope filter pro is notorious for producing crazy sounds that are reminiscent of dubstep and electronica. This is a very versatile pedal, but it definitely comes with its set of quirks. It’s all digital, the encasing is almost completely made of plastic, and the size of it only would make think twice. That being said its variety of filter sounds are definitely second to none on this list. If it’s about expanding your filtering options, however, I’d also consider the Line 6 FM4 or even the Moogerfooger MF-101 guitar filter pedals if you’re looking for an analog filter pedal that can also make some craaazy sounds. And now for the tiny option! If pedalboard real estate is your main concern and not even an M82 bass envelope filter would fit your current setup, this is probably the one. Mooer pedals are made in China, with efficiency and cost-effectiveness (nice way of saying cheap eh?) in mind rather than a very unique sound or boutique qualities. That being said, this thing just delivers amazingly for the price. Here’s what it sounds like with bass. It’s surprising that it has four controls in a bass filter pedal as small, but it features decay, tone, and Q controls, along with a big sensitivity knob in the middle. 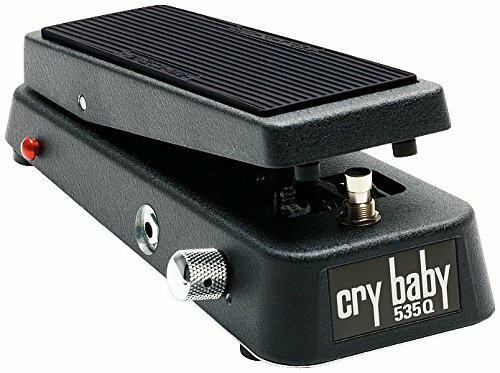 It would be nice if there were a nice version (basically what you can call best envelope filter pedal) or if it had a dry/wet option for low end preservation, but for less than $90 bucks it’s hard to ask for more. 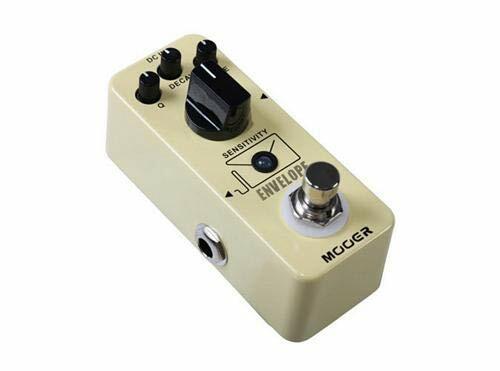 Also, if you’re into Mooer envelope pedals you should also consider their Bass Sweeper. 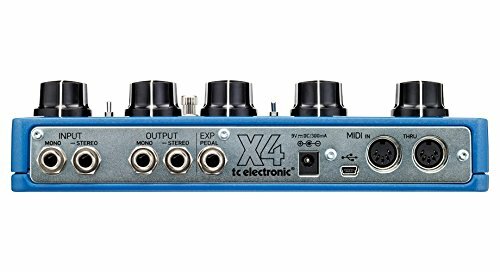 It’s also an envelope filter, but it features a clean/fuzz switch that adds a certain character and dirtiness to the funky bass pedals effect… AND it’s like $50. Listen here. And at last, we come to the adequately-named bassballs envelope filter from New York’s Electro Harmonix. What we love about this envelope filter guitar pedal is its minimalist approach to the filter, since it features only one big response knob as the sole control upon the two filters that are simultaneously engaged. The new version of bassballs filter features a built-in fuzz that truly enriches the harmonic quality of whatever is being filtered. It would be nice it you were able to control the amount of fuzz though, but this thing is like $70. But even if it’s a one-trick pony, its signature sound has made it very popular with a wide spectrum of pros over the years. Some of its praises come from Jack White, Flea, Cliff Burton and Roger Waters. The Digitech Bass Synth Wah has long been discontinued, but it’s a true legend even outside the circle of bass guitar players. It is said that most bass lines on Daft Punk’s album Human After All were processed through one of these, and it’s also (along with the moogerfooger MF-101) how Thundercat makes his bass sound so funky on tracks like “Them Changes” and “Wesley’s Theory”, his collaboration with Kendrick Lamar. Finally, the DOD FX25B was also a widely used during the 80’s, most notably by Flea himself. We guess it was what he favoured before he picked up the M82 from MXR (mxr envelope filter) but it’s definitely the one he’s using during that jam session we showed above. These funk bass pedals are mentioned here for your consideration, but since they’re discontinued that means they are a little hard to come by, and thus were not fully reviewed. 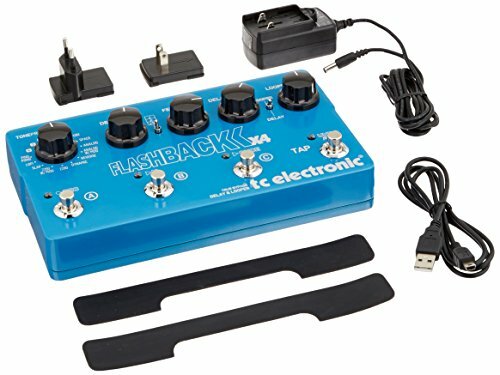 If you have the time and patience to pursue on of these however, more power to you, but you can rest assured that most of the bass envelope filter pedals we mentioned (mxr bass envelope, soundblox envelope filter, boss envelope filter,..) would cover most of your envelope filter and synth sound needs. But seriously, apart from being a staple for any funk musician, these funk guitar pedals can be definitely used for lots of other purposes and genres. 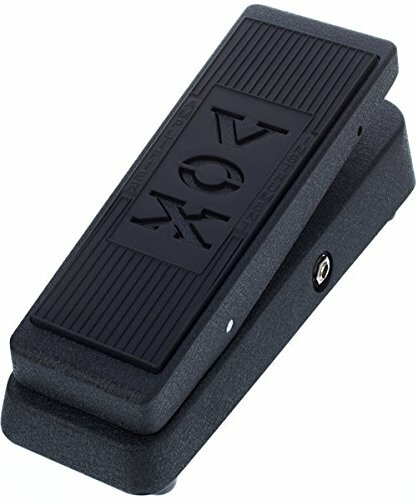 You can find them as Q-Wah pedals, or Auto-wah, but they are mainly variations of the same thing. In audio, a filter is any circuit or algorithm that adjusts the shapes of the frequencies that pass through it. In doing so, it is effectively altering the relative levels, and thus the sound of each frequency. There are several types. A low pass filter, for example, lets the low frequencies pass through but cuts the highs. The high-pass filter is the exact opposite. A band-pass filter lets only the mid-frequencies pass. In this sense, filters are used for EQing. As filters get more complex, they become more noticeable effects. Such is the case of the envelope filter, which also has certain variations in tone, as it uses resonance (a type of feedback) for the emphasis of some frequencies. The “envelope” in this case, is the changing in the levels of each note played, going from an initial spike to when the note dies off. For more info on filters in general, we recommend this very complete article from Ovni Labs. So the envelope filter not only alters which frequencies pass through, but the shape of that “hump” that occurs when a note is played. Understanding this, will help you make better use of the controls that are inherent to most filters. “Attack”, for instance, is the time that elapses from when the filter is triggered, to the moment when it peaks, reaching its maximum level. The time from that high point to when the note dies is the “Release”, also found as “Decay”. Then you have the “Sensitivity”. This is the degree to which the envelope filter will react to the notes you play. This is probably the most important and expressive knob in any envelope filter, as it really opens or closes the frequencies, so it has a much more noticeable impact on the sound. When you trigger your envelope filter, down on the sensitivity knob usually means open, and the filter closes more and more as you turn the knob up, causing a more dramatic and accentuated effect. Some pedals also feature a “Q” knob. This usually controls the gain of the filter, so it messes with the intensity of the effect regardless of the original signal. Getting to the point where you love what the filter is doing to your playing, is all about messing around with these controls, but also modifying your playing as well. When testing out one of these bass envelope pedals, or checking them out on Youtube, you’ll notice that the filter reacts very differently depending on how hard or soft the instrument is played, or whether the musician is doing low or high notes. Naturally, you can also accomplish very varied results with a filter depending on whether your original signal is compressed, passing through a preamp, or any sort of processing. The Boss DD-7 is the latest addition to the successful range of Boss delay pedals. Among others, the line includes the popular DD-3, DD-5 and DD-6. The best way to find out what the latest model stands out is to compare it with the previous models. Boss took the reviews and suggestions of their audience into consideration, resulting in the specifications of the DD-7 being a combination of the DD-2’s classic warmth, the DD-3’s pedal look and the DD-5’s evolved functionality. Boss really did their homework this time and worked hard to replicate the DM-2’s sound via the Analog mode of the DD-7. The DD-5 was the first Digital Delay by Boss that had a tap-tempo feature included, which was used by plugging in an external switch like the FS-5U. The DD-6 decided to go ahead with stereo inputs and exclude the external footswitch, much to the dismay of many loyal users. Boss was quick to take customer feedback into account. Once again the external footswitch jack is equipped on the DD-7, all the same keeping the stereo inputs maintained. So a lot of thought was put into creating the DD-7. Features aside, it is important to look at the sound quality the DD-7 delivers and how well it executes it. The controls are intuitive and simple, offering the standard Feedback, Effect level and Delay Time functions. 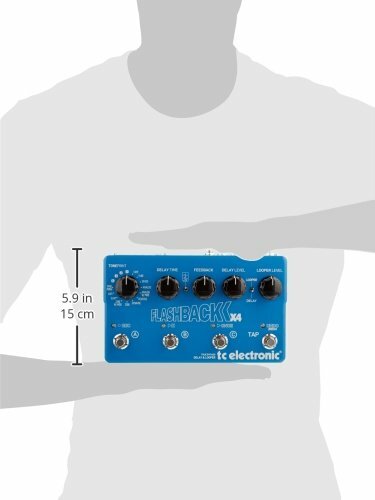 Itis very fast and easy to dial in the required amount of both delay and feedback delay. The sound itself is very clear and crisp, giving a fantastic reproduction with an added hi-fi warmth. The sound is very modern, and feels more alive and soulful. This is definitely one of the best delays that Boss has produced. The Hold mode is great if you like messing around with basic loops, but there is no feature to save loops. If that is what you want, then you may want to look into getting a dedicated looper, like the RC-300. The DD-7 is still a good choice to give you some experience with looping. The Modulate mode gives a chorus-like sound to the output. Its control is limited, so it isn’t possible to adjust the depth and rate of the effect. But again, the DD-7 is a good entry level item to help you determine whether or not you want a pedal dedicated to chorus effects or have a small area on the pedalboard to do so. The Analog mode is the most remarkable feature of this pedal, give a warm and smooth sound output that will put your mind off buying a dedicated analog delay pedal. Certain sound purists argue that the feature is not a perfect emulation of the one provided on the Boss DM-2, but for now it is as good as it can get and is a breath of fresh air in the otherwise sharp digital delay sounds. The Reverse mode changes any sound played through it by giving it a psychedelic twist to it and basically reversing the signal. This is great for amping up some parts of a song or adding an unexpected flavor to a guitar solo, anyone say Hendrix?? The Tap tempo can be used without an external footswitch by simply pressing the footswitch for 2 seconds, followed by tapping the tempo. But this is sort of wonky for live use so we recommend getting the FS-5U footswitch. 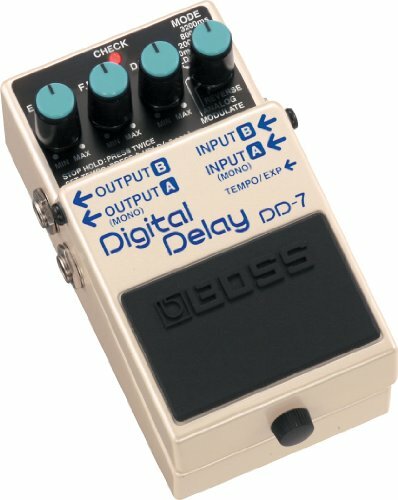 I think it is safe to say that the Boss DD-7 Digital Delay is the king of the delays in the Boss line up for now. It offers something for everyone; analog as well as modern delay sounds, unique and interesting effects, and a tap-tempo that is optional. All these functions will make a great addition to any pedalboard. Are you looking for an in-depth review on the Boss RC-300 Loop Station? We thought so and we’re more than willing to share our two cents on Boss’ frontrunner looper. If you have read our previous article on the best looper pedal on the market, then you may already be familiar with this bad boy. However, we wanted to dive a bit deeper since it is such a beast of a loop station. This looper is under stiff competition with other loopers in the market – think, Jam Man Delay from Digitech. Not to mention its predecessor, the RC-50 Loop Station is still not out of the picture. So, what makes the RC-300 Loop Station special? Is it worth your precious time and money? We’ll find out as this review goes deeper into its features. Let’s now delve in to the main part of the subject in focus and see what makes the RC 300 such a great loop station. The Boss RC-300 Loop Station comes in a noticeably enormous size compared to the models that came before it. It’s a little bit over 21 inches wide and nine inches from back to front. It comes in a jagged metal construction with a total of eight foot pedals and a built-in expression pedal to allow you to shape your sound. · It’s jam-packed with features that you can find in most loopers out in the market – tempo-shifting functions, reverse playback, different stop modes, auxiliary inputs, undo/redo functionality, and rhythm tracks. · This looper makes the process of switching between tracks easier by giving each one a dedicated “Record/Play/Overdub” and “Stop” pedal so you can record onto track one, then hit the pedal for track two and start recording onto it instantly. This feature is perfect for live musicians! · Just like the RC-50 Loop Station, the RC-300 features a variety of outputs for subs and guitar amps; this simply means you can have your bass thumping out of a bass stack instead of your guitar amp. It also comes with standard 99 internal memory locations, with three tracks stored in each location. Another awesome thing about this looper is its internal memory can store up to three hours of recording, way better than its predecessor. · You can also connect the RC-300 using a USB cable straight to your computer which will allow you to increase the amount of loops you can store. · The RC-300 also has built-in effects where you can add phaser, flanger, chorus, pitch-bend, distortion, tremolo, lo-fi effects, and delay to your recordings. · Furthermore, the unit allows you to alter the pitch of recordings without changing the tempo, this is referred to as its transpose function. There is also a particular effect to turn your guitar into a bass, that’s important for “one man band” musicians. They’ve also included a number of vocal effects to make your alter the way your voice sounds – you can sound more masculine, robotic, feminine, you can even experiment on the different levels of voice sounds available and we think that this is a totally cool feature of the RC-300. · Another awesome thing about the new Boss looper is that effects can be set up for use in combination with any of the three available tracks. Depending on how you split up tracks for your songs, you can add wild pitch bends to a lead part without affecting the rhythm. You can also apply the effects to all tracks, if you like. · The RC-300 Loop Station also has the largest selection of rhythm backing tracks (23 of them). It also has 17 different time signatures, each with close to 10 rhythm backing tracks. · In addition to ensuring that your overdubs stay in time with the original recordings, this looper ensures your 3 tracks fit together properly. If you’re a beginner, turn this function on and if you’re more of an experienced user, you can simply turn this function off. It definitely makes the looping process much easier than doing it unassisted. · Another plus that we noticed is that the actual operation of the pedal can be done entirely hands-free. Imagine being able to create a three track loop with multiple overdubs on each using just the foot pedals! This is clearly a huge advantage for live players, and the ability to bring in and take out different tracks according to your preference make the RC-300 Loop Station fitting for complex, hands-free composition. However, more complex things still require fingers to operate like selecting a specific rhythm track and setting time signature. Luckily, the options that entails the need for you to stoop over and operate the control panel can all be set prior to a performance or between songs. This will result in some silence, though. The good news is, silence won’t happen mid track. 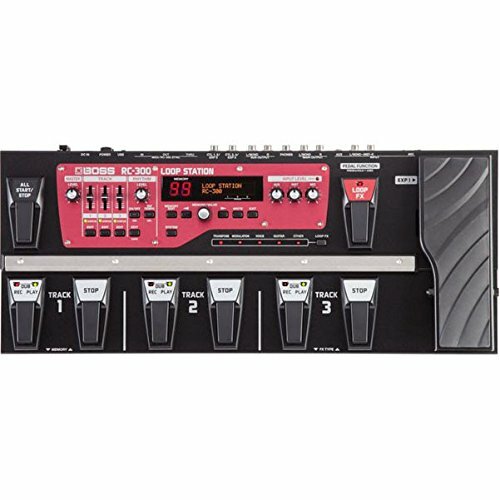 In general, the Boss RC-300 Loop Station has all the features and more that a looper could ask for. It’s quite versatile and can be used during live performances, for complex compositions, as a dependable practice instrument, or anything that’s weirdly in between. It’s great for performing artist that either work alone or as part of an actual band and the impressively massive memory allows you to store more than enough data without the need to obsess over whether you have enough space or not. Boss definitely has come a long way from the RC-50 and has done an excellent job with designing the feature packed RC-300. This device is totally a worthy investment!